On November 20, 2018, Suffolk County, New York’s Legislature passed the Restricting Information on Salaries and Earnings Act (“RISE Act” or “Act”). With limited exceptions, the Act will prohibit employers in Suffolk County with four or more employees from inquiring about or relying on a job applicant’s compensation history at any stage during the hiring process. Sponsored by County Executive Steve Bellone, the RISE Act amends the Suffolk County Human Rights Law. The Act will become effective on June 30, 2019. Orlando partner James Timko and Tampa attorney Lauren Strickerrepresented parties in two cases listed as the top 10 bankruptcy cases in the Tampa Bay area in 2018. The report, provided by American City Business Leads, combined information collected from November 1, 2017, to November 30, 2018, for the Tampa area. Any company’s success relies in large part on the products, technologies, or processes it develops. For a smaller business, its “secret sauce” can be one of its most important competitive advantages and its most valuable asset. However, developing these coveted creations is only half the battle. The other half requires protecting a business’s goodwill and proprietary information to maintain its competitive advantage in the market and ensure customer loyalty. This half requires careful planning, as small businesses and entrepreneurs must navigate employee confidentiality agreements and restrictive covenants to protect these valuable assets. Illinois Attorney General Lisa Madigan recently moved to dismiss a tax case brought by a tax whistleblower and, in doing so, suggested that in-state actors soliciting orders in Illinois may not have triggered “substantial nexus” to tax. We have been following developments as one notorious lawyer who has been dubbed the “king of qui tam,” Stephen Diamond, filed suit under the Illinois False Claims Act (IFCA) to prosecute non-compliance with the State’s use tax. Under Missouri’s future advance statute, Mo. Rev. Stat. § 443.055, a deed of trust may secure future advances by a lender, the principal amount of which may not exceed the “face amount stated in the security instrument.” What else, besides the “principal” amount, may be secured by such a deed of trust? The statute specifically allows advances “incurred … for the reasonable protection of the lender’s security interest” to be included, and that amount can exceed the stated amount of the deed of trust. A Missouri Court of Appeals has now confirmed that interest also can exceed the stated amount and remain secured, and property taxes and attorney’s fees may also be secured as advances for the protection of the security interest. Late fees, however, do not qualify as expenses protecting the lien. Manns v. SB RE Properties, LLC, et al., ED105820 (Mo. Ct. App. E. D. Mo., Nov. 13, 2018). The Ohio sales tax on employment services is continuing to generate controversy. Originally imposed on Jan. 1, 1993, the sales tax on employment services is an important component of the state of Ohio budget that annually raises approximately $160 million in tax revenue. But the tax is controversial because it can be a heavy burden on businesses attempting to fill their labor needs, particularly in the tight labor market that we are currently experiencing. As 2019 begins, companies should seriously consider the financial and reputational impacts of cyber incidents and invest in sufficient and appropriate cyber liability coverage. According to a recent published report, incidents of lost personal information (such as protected health information) are on the rise and are significantly costing companies. Although cyber liability insurance is not new, many companies lack sufficient coverage. RSM US LLP, NetDiligence 2018 Cyber Claims Study (2018). Rainmaking trainer and coach, Jaimie Field, is back with rainmaking recommendations to kick off your new year in the right way. Check out her latest in today’s post. Connolly Gallagher LLP is pleased to announce that Aaron M. Shapiro has been elected partner effective January 1, 2019. 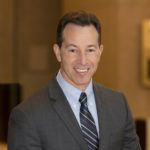 “Aaron previously served as the Labor Relations and Employment Practices Administrator for the state of Delaware and since joining the firm in 2017 he has worked hard to build a highly respected labor law offering that we proudly provide to our valued clients,” said Arthur G. (“Chip”) Connolly III, Managing Partner of the firm.